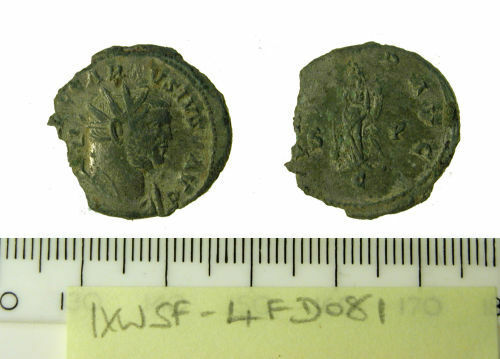 Roman copper-alloy radiate of Carausius AD 286-293 (Reece Period 14), PROVID AVG, Providentia standing left with baton over globe and cornucopiae. C Mint, S P // C. RIC V, pt 2, p. 494, no. 346. This coin is included in Sam Moorhead's corpus for RIC.